Our goal is not to train champion fighters. Our goal is to train champion individuals who can excel in any situation. We strive to instill respect and courtesy in each and every person. 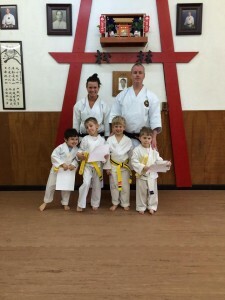 Adult classes are strictly based on traditional Matsubayashi-Ryu Karate-Do study and teachings in order to fully develop champion individuals. Classes are for students 13 years of age and older. Kids classes are similar in content to adult classes, and develop speed, strength and agility. Traditional Karate techniques, self defense, confidence, coordination, balance, focus, listening, self esteem, weight loss, Stranger danger and bully busting. 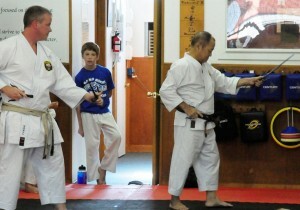 Classes geared for students age 7 to 12. 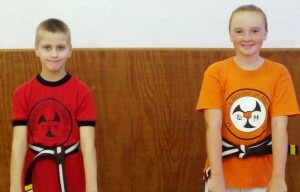 The Little Ninja’s program has had more than 100 active children training throughout the schools. It is designed for children 4 to 6 years of age. 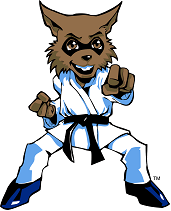 Little Ninjas classes teach basic karate skills in addition to developing fitness, coordination, discipline, self-confidence, self-esteem, confidence, balance, focus, body control, listening, weight loss, self esteem stranger danger and bully busting. This class is held on Tuesday nights. 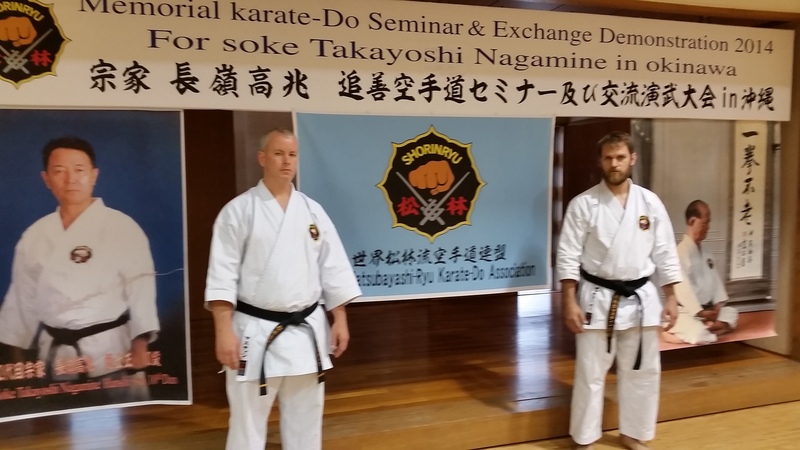 The classes focus is on kata, bunkai, applications and weapons kata. This class is open to all Junior and Adult students. The classes are separated by rank. 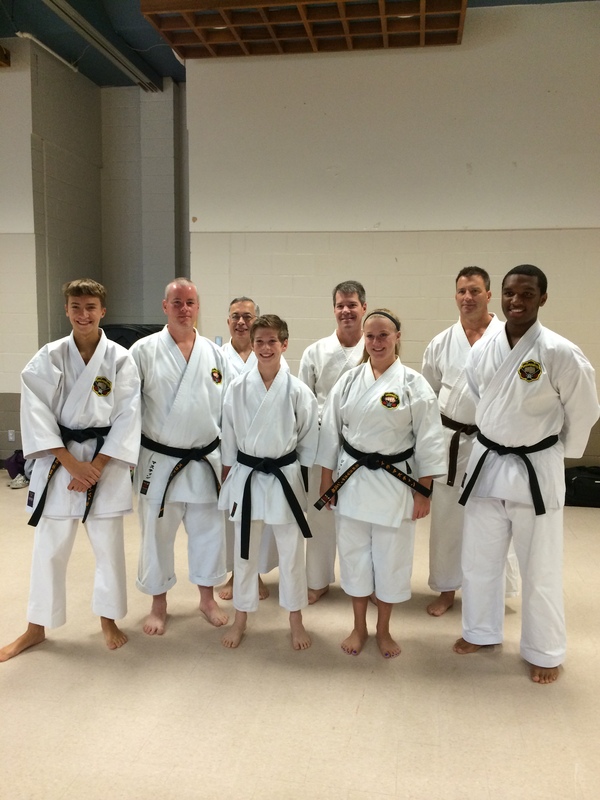 Black belt Classes (reformatted) are classes held 4 or more times per year. This class is 2 -3 hours long. It is open to students who are Ni Kyu (Brown II) and above may attend. We will also hold our Black Belt meeting afterwards. 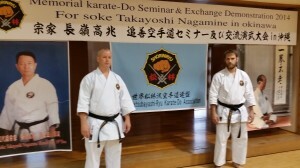 Adult and junior students learn basic through advanced weapons techniques for demonstration, kata and self-defense. Weapons training includes use of the bo (6-foot staff), kama (hand sickles), sai-justsu (pitchfork-like implements), nunchaku (rice flails) and other weapons. Weapons training is held on Tuesday Nights. Matsubayashi- Ryu Weapons were developed as more of a hobby or as secondary training. The weapons of Matsubayashi – Ryu can be traced back to 2 individuals: Shinei Kyan and Chogi Kishaba. In addition to our regular class schedule Sensei Scott Mastin conducts private lessons, clinics, self-defense classes, camps and afterschool programs. Sensei Scott Mastin and his daughter Katelynn have had hundreds of students in their many afterschool programs. Sensei Mastin also has had a program with the State of Ohio that was sponsored through the YMCA’s of Cincinnati. This was a very successful program that helped bring enrichment and build leadership skills in over 80 youth that were involved. Upon visiting Okinawa, Sensei Mastin and Mrs. Patricia were inspired to bring the peace , tranquility and beauty of the Okinawan Culture and landscape back to America. 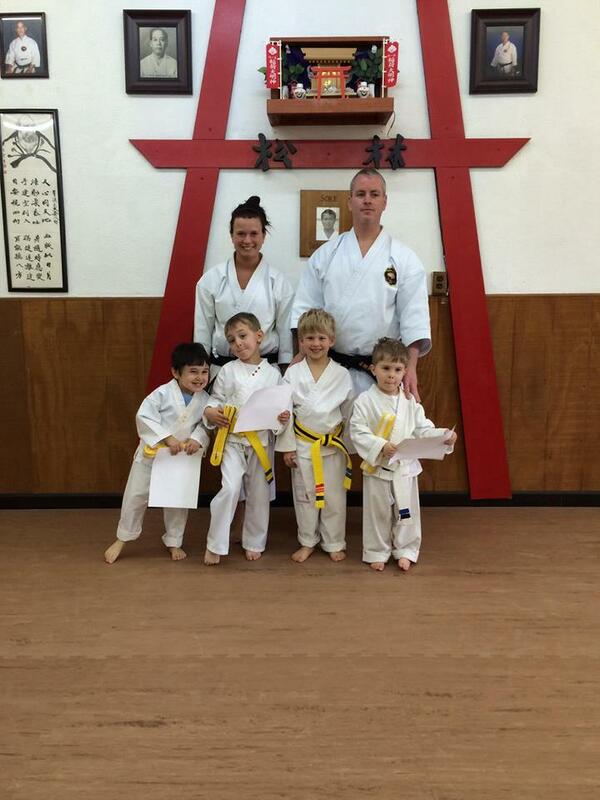 In 2011, they relocated their family to a new property to begin to formulate a plan to build their dream dojo. 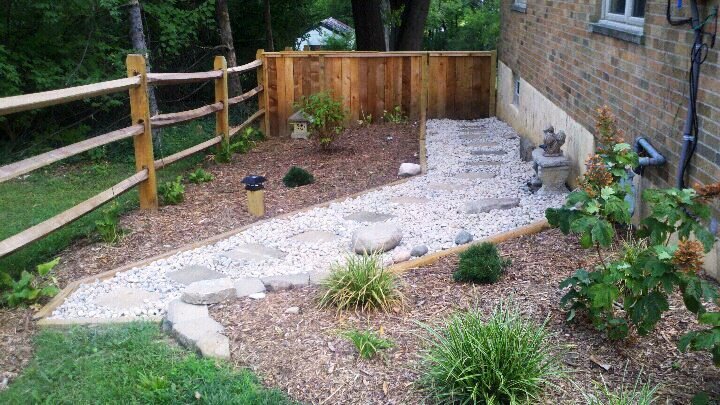 ” Our goal is to transform our new space into a beautiful training and relaxation center in hopes of sharing our vision” Even though the actual construction of the dojo is still a few years away, there are now multiple training areas both indoor and outdoor set up to accommodate private lessons and semi private groups. Contact Sensei Mastin for details.